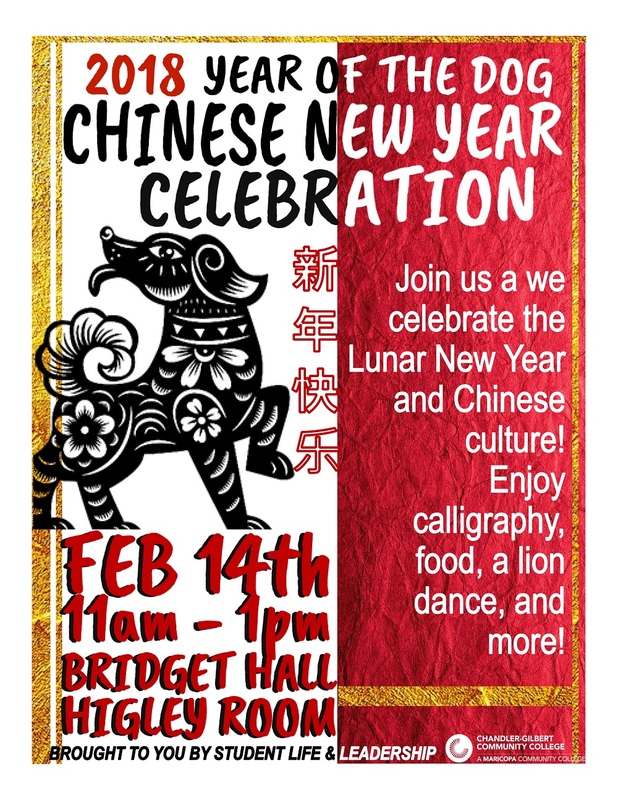 Come celebrate the Chinese Lunar New Year, learn about Chinese culture, enjoy FREE food and live performances at the 2018 “Year of the Dog” celebration. The event will be held Wednesday, February 14 from 11 am to 1 pm inside Bridget Hall’s Higley Room and is free to students. Hope to see you there!